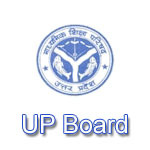 UP Board 10th Result 2019 will be declared by the board on or before 25th April 2019. UP Madhyamik Shiksha Parishad shortly known as UPMSP was established in the year of 1921. The headquarter of this board is located in Allahabad. It was set up to provide better education and raise the education status of Uttar Pradesh state. This board conducts the 10th & 12th examinations in the state of UP. The UP board provides the result to students through online mode. Every year lacs of students appear in these examinations. Here we have provided details about UP Board High School Result 2019 including previous years result statistics. As per the sources, UP Board 10th result 2019 will be declared on or before 25th April 2019. Link will be given here. The examinations of high school was started from 7th February 2019. It was conducted till 28th February 2019. Candidates those have appeared in the exam can check their results through online mode. UP Board High School Result 2019 will be announced in the month of April 2019. No offline mode is provided to check the result. Candidates must check all the details that will be mentioned in their result. If any discrepancy found contact to the respective board immediately. After the declaration of UP Board 10 Result 2019, candidates should collect it from their respective board. Click on the official website link (link will be given above). A result page will be opened on the screen. Enter all the required details such as roll number or name. After filling the details, click on the “Find Results” button. After checking the result, must take printout of it for further use. According to the table given above, there has been an increase in the passing percentage over the previous years. In the year 2017, total 35,62,682 students enrolled in the examination and overall passing percentage was 81.18 %. Girls passing percentage were 83.29 and boys passing percentage was 78.76. Girls have performed well in the 10th examinations as compared to boys. In year 2018, total 36, 55,691 students appeared & overall percentage of passed student was 75.16% in the examination. After qualifying the exam, students will have options to choose for their further studies. There will be various streams available for studies like science, commerce and arts. After choosing the streams, candidates have to report to their respective school where they are seeking for admission. Candidates are required to collect their original mark sheet and passing certificate. If students are planning to change their schools they also have to collect the transfer certificate. Prepare all your documents along with their photocopies for admission. The career of the student usually depends upon the stream he/she will choose after 10th. They can opt. for streams as Science, Commerce or Arts. Students must also collect original marksheet & certificate of passing class of their UP board 10th examination. They must keep their original marksheet safe as this is an important document to apply for all government or private job in future. For any other queries about UP Board 10th Result 2019, you may leave your queries below in the comment box. Very valuable information for students and awesome article. Rajasthan board ki bhi notification mil jaayegi na.